NOAA, the U.S. Army Corps of Engineers, FEMA, and the Virginia Institute of Marine Science have joined with representatives from state agencies, non-governmental organizations, academia, and private industry to launch a new “community of practice” designed to protect U.S. coastlines. The partnership promotes a hybrid engineering approach that integrates natural or “green” measures with hard or “gray” structural ones at the landscape scale. The effort is referred to as a “Systems Approach to Geomorphic Engineering,” or SAGE. The goal is to help coastal communities identify more effective and affordable means of coastal protection against an increasing threat of more coastal storms, rising sea level, and fiscal constraints at all levels of government. The primary portal for SAGE is a one-stop website—http://sagecoast.org—that makes resources readily available to resource managers, community leaders, developers, and the public. 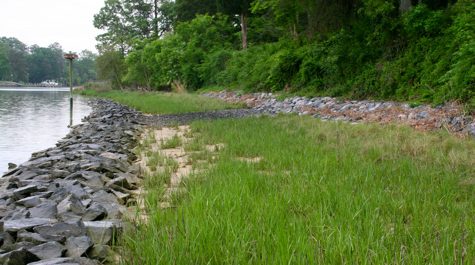 The website includes a database describing coastal resilience projects around the nation, including “Living Shorelines” for shoreline stabilization, habitat restoration, and floodplain management. Each project includes a variety of site, design, and partner information. The partnership has also developed a brief primer, “Natural and Structural Measures for Shoreline Stabilization,” that aims to help the public better understand both the threats to their coastal communities and the techniques that can be used to mitigate those dangers. The SAGE alliance is a community of practice and not a grant-making or governmental organization. It provides a forum to leverage resources for coastal projects that incorporate hybrid coastal engineering. Partner organizations have committed to in-kind support to develop and support the effort. Those interested in joining SAGE or receiving The SAGE Report newsletter can do so by signing up online at http://sagecoast.org/info/contact.html or by e-mailing info@sagecoast.org.